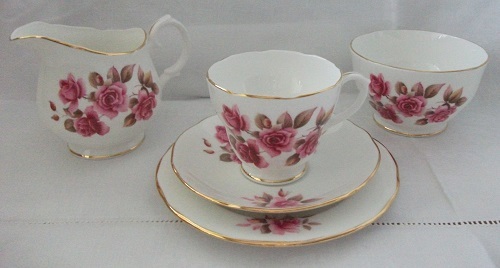 Vintage Bone China Teaset by Duchess - Roses. 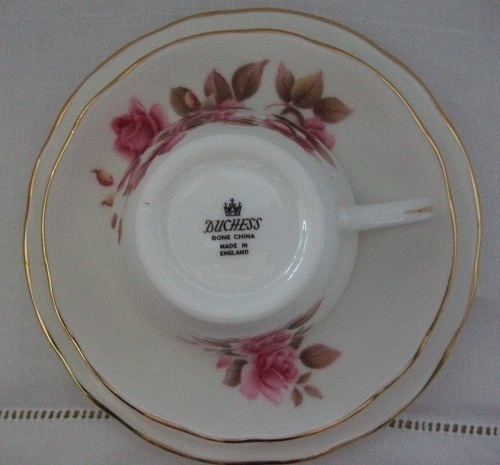 This very pretty English Fine Bone China tea set, made by Duchess, came to me in it's original cardboard box. 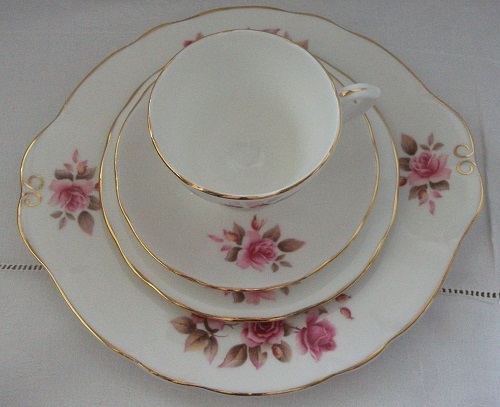 This very pretty English Fine Bone China tea set, made by Duchess, came to me in it's original (but battered) cardboard box with the original brown paper wrapping around the cups and pieces of corrugated paper between the saucers and tea plates. 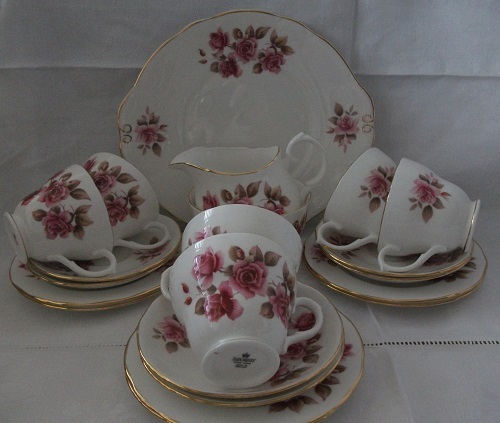 The glaze and gilt edges are bright and shiny, the pattern of very pretty pink roses is sharp, contrasting well with the white background. This set looks as though it has never been used. It is free from chips and cracks. This item is gift boxed and costs £10 postage and packing within the UK.